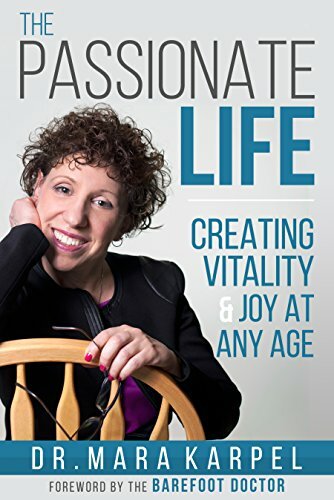 Best Seller Publishing announces the release of Dr. Mara Karpel’s new book, “The Passionate Life : Creating Vitality & Joy at Any Age.” It will be available for free download in the Amazon Kindle Store on September 10th. In “The Passionate Life: Creating Vitality and Joy at Any Age,” with the Foreword by The Barefoot Doctor, Dr. Mara interweaves her twenty-six plus years of expertise as a psychologist, her own personal experience, and the wisdom of today’s thought leaders on physical, emotional, and spiritual health into these pages. Readers will gain valuable tips for creating a meaningful, vital, and joyful life––no matter what challenges they may face. “The Passionate Life” by Dr. Mara Karpel will be free and available for download on Amazon for 5 days (09/10/2018 – 09/14/2018) at: https://www.amazon.com/dp/B07FRQ3T1R. For More Information: For more questions or to schedule an interview about this press release please contact us at (626) 765-9750 or email info@bestsellerpublishing.org .